This is going out to those who know: I know what this world can do and I'm sure some of you might need to hear some messages from home now and again. I'm here to help. I've been working on this problem a long time now. 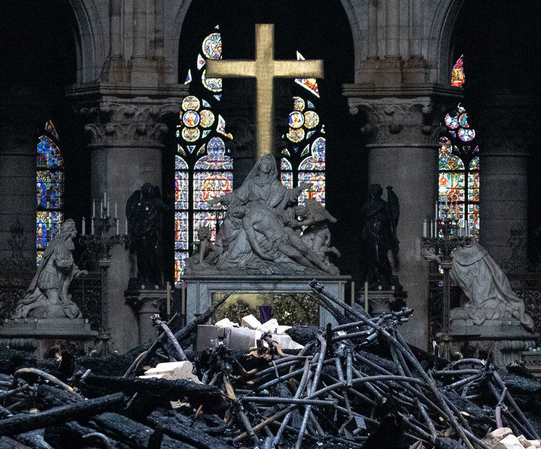 The landmark Notre Dame cathedral in Paris was heavily damaged by fire yesterday. Happily, much of the structure is intact and many of the priceless works of art had either been previously moved or were rescued. It took a very long time to build this architectural masterwork, and it will take a long time to repair it. 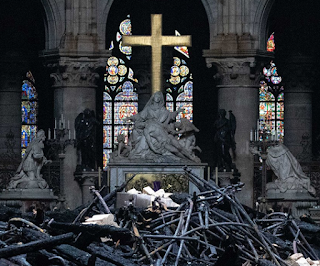 Donations are already being made for its restoration. Our pal Khadir pointed me to this article, which talked about the Event Horizon project, in this instance about the MIT observatory in Westford, MA. 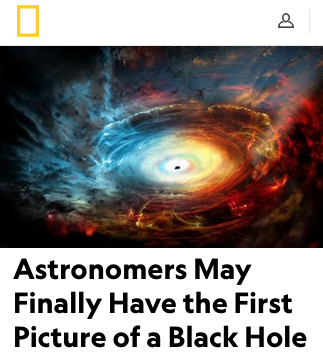 I'm sure you're probably all black-hole'd out, especially after the manufactured fake- controversy about that random woman on the team whose name just HAPPENED TOTALLY AND COMPLETELY BY ACCIDENT to sync up with Sagittarius, where the other Superunknown black hole sun was imaged. Don't go invoking Knowles' First Law* now. I don't want you getting unpersoned. Well, weirdo Indie artists like Grimes are one thing, but what do you do when one of the biggest superstars in the entire world makes a video bursting at the seams with all these crazy Emergent Archetypal Dominants® I've been bashing my head bloody for the better part of two years trying to open people's eyes to? I guess bash my head some more. Our man Boosephus pointed me in the direction of the new JLo video, "Medicine." I strongly suspect he did so because he's a sadist. But believe it or not, the video was quite fascinating in that it served up not only the usual serving of quasi-Masonic iconography we've all seen ten trillion times in music videos but also some curiously Sunly symbolism. Not to mention some tantalizing evidence that the comely Ms. Lopez is working with a Crypto-Frase, or may in fact have been initiated into the Bene Frasserit herself.